​Create a seamless Balance In Motion that will enhance the expression between you and your horse. Build practical skills for all riders- whether you are in the arena, trail, stadium or backyard-- whatever your goals. Empower you to work independently using the classical system and the training scale. Dressage- training to develop flexibility, balance and responsiveness. Each lesson begins with a personal evaluation. They say "you have to ride the horse you have today". 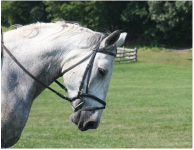 Susanne identifies where the rider needs help that day and sets the challenge for the lesson. She designs the best lesson for you and your horse for that hour; no matter if you have ridden with her once, many times, or never before.